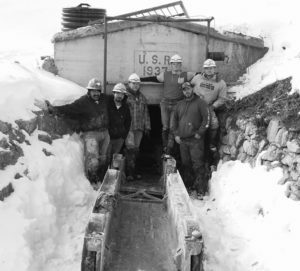 Pumped 9,700 feet of backfill grout to reinforce and repair the Ephraim Tunnel, which runs 1.5 miles from east to west through the middle of one of the mountains in the Wasatch Plateau, bringing critical irrigation and culinary water to the city. 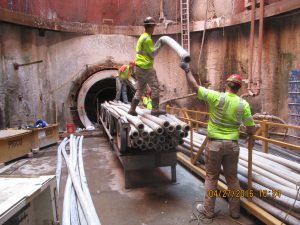 Pacific International Grout Company value engineered cellular concrete for backfill of the 72 inch welded steel pipe in the 9,460 foot siphon tunnel under New York Harbor between Brooklyn and Staten Island. 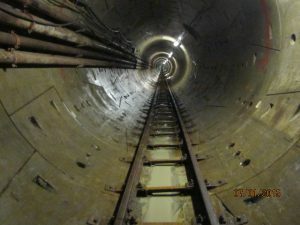 Pacific International Grout Company has completed installation of cellular concrete to backfill for 5,300 lined feet of 60" Hobas pipe in the tunnel and two (2) 80 foot riser shafts. 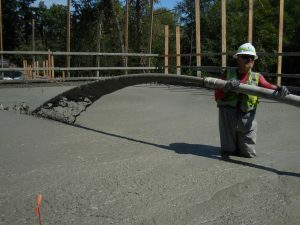 The byway was constructed adjacent to an operating railroad, a historic railway depot, operating commercial buildings, Sand Creek, and Lake Pend Oreille. 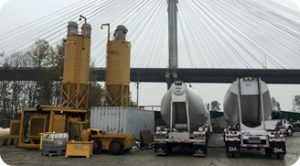 PIGCO successfully placed 11,856 cubic yards of low density cellular concrete on this project for Parsons RCI, Inc.
Grout Company placed over 14,788 cubic yards between active railroad crossings for CalTrans. 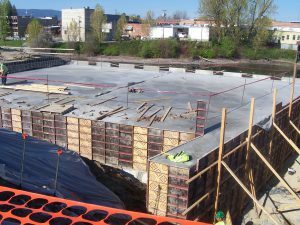 Contractor was FCI Constructors. 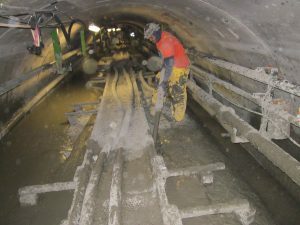 The Brightwater project included approximately 13 miles (21km) of soft-ground tunnels. 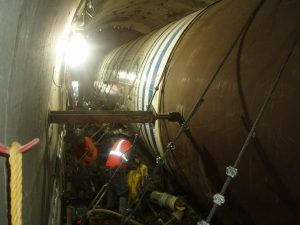 PIGCO successfully grouted the BT2 and BT3 tunnels with total tunnel length of 30,705 feet and over 55,000 cubic yards of cellular concrete for the King County Department of Natural Resources project. 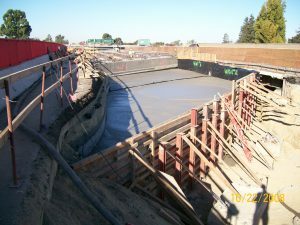 Pacific International Grout Company was contracted by Granite Construction to provide 8,000 cubic yards of load reduction fill (low density cellular concrete) for the Anderson Creek Culvert Replacement project. 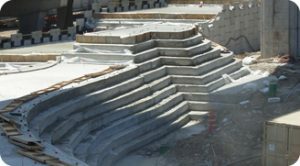 Pacific International Grout Company placed 87,342 cubic yards of cellular concrete on the Marquette Interchange in downtown Milwaukee, Wisconsin. 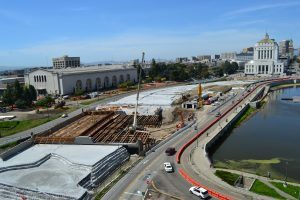 Over 79,000 cubic yards of cellular concrete was placed on either side of the new bridge on the 12th Street project by Pacific International Grout Company for the general contractor McGuire & Hester.